Yesterday Western Lacrosse Association commissioner Casey Cook surprised the Canadian lacrosse world when he announced his resignation from the league. Assistant commissioner Sohen Gill also stepped down from his role. The move was shocking to the lacrosse community, as stated by Victoria Shamrocks general manager Chris Welch to the Times-Colonist. “I wasn’t at the meeting on the weekend, but my understanding is from whatever differences of opinion there were, some decisions were reached and people were moving forward,” Welch said. “That’s the normal course of business in an operation like the WLA, where you have a board of governors — majority rules, you vote and you move on. The league will meet again next Wednesday. 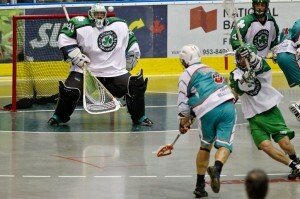 With the season set to start next month, it leaves the WLA with a gaping hole in their leadership.